Welcome to Cambodia FWCMS ! Welcome and thank you for visiting our new online Foreign Workers Centralized Management System (FWCMS). 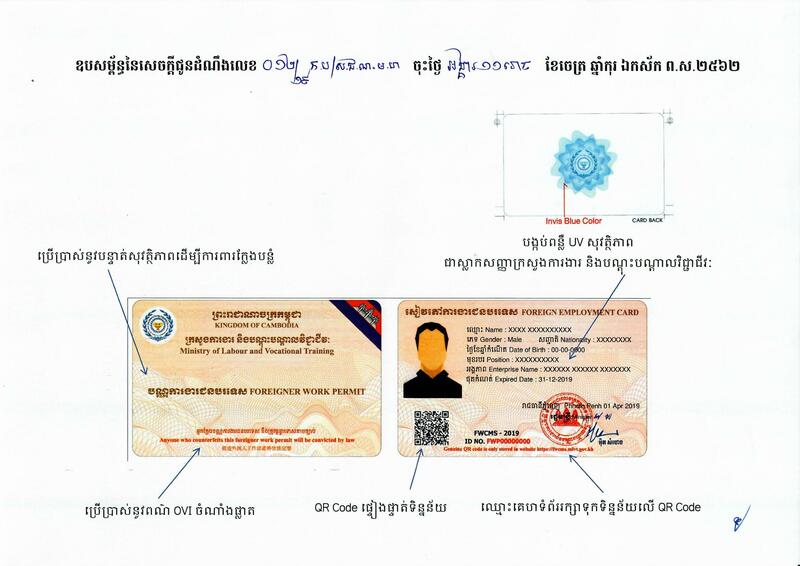 FWCMS is a web-based online management system of Ministry of Labour and Vocational Training, Cambodia. We are very pleased to provide you with all the services related online application, quota, foreigner work permit and one stop window services. We invite you to use all of our services and to explore ways that we can help you for convenience and easy to apply foreign worker quota as well as to apply the foreign work permit anywhere and anytime. We welcome your valuable suggestions and recommendations to improve our website and our services to better serve you and Cambodia. 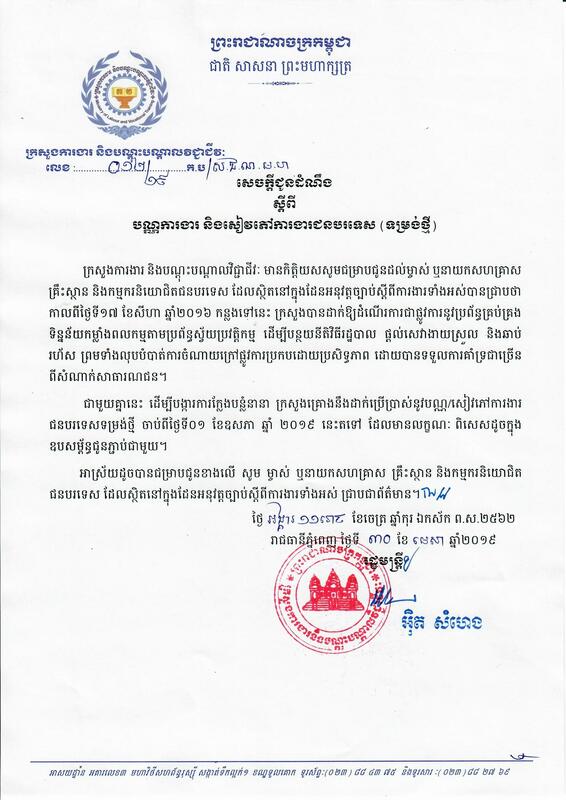 Home Copyright © 2016 - Ministry of Labour and Vocational Traning, Kingdom of Cambodia.